A new beginning . . . When Stefan Salvatore's first love turned him into a vampire, his world-and his soul-were destroyed. Now he and his brother, Damon, must flee their hometown, where they risk being discovered . . . and killed. The brothers head to New Orleans, looking for safe haven. But the city is more dangerous than they ever imagined, full of other vampires-and vampire hunters. Will Stefan's eternal life be forever damned? 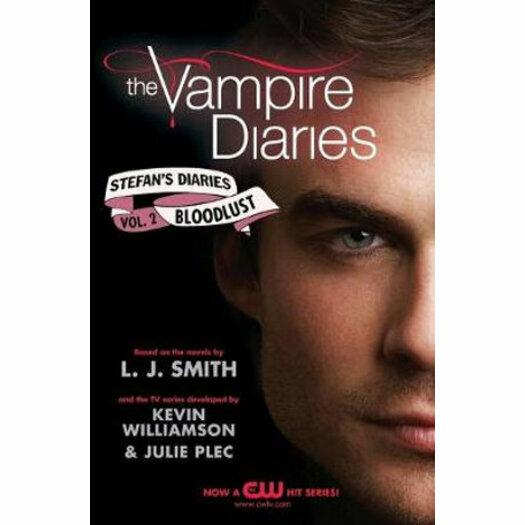 Based on the popular CW TV show inspired by the bestselling novels, Stefan's Diaries reveals the truth about what really happened between Stefan, Damon, and Katherine-and how the Vampire Diaries love triangle began. L. J. Smith has written more than two dozen books for children and young adults. She lives in the Bay Area of California, but is happiest in a little cabin near Point Reyes National Park, which has lots of trees, lots of animals, lots of beaches to walk on, and lots of places to hike.